I can not belive thet we still don’t have a nice and warm sunny weather! It is still cold and rainy, so instead of investing in new sunglasses I will think about buying a new umbrella! Just kidding, hope that won’t be necesarry right now! 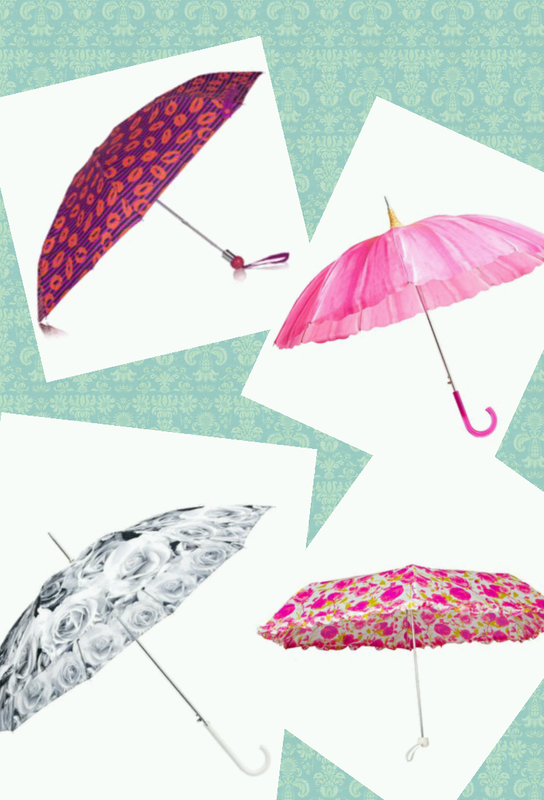 I usually post every second day, but I needed a break from studying, so this Is just a quick post to say hello, and to share my collage of stylish umbrellas! Hope my next post will be more appropriate for summer! If you like my blog, don’t foget to like my facebook page!